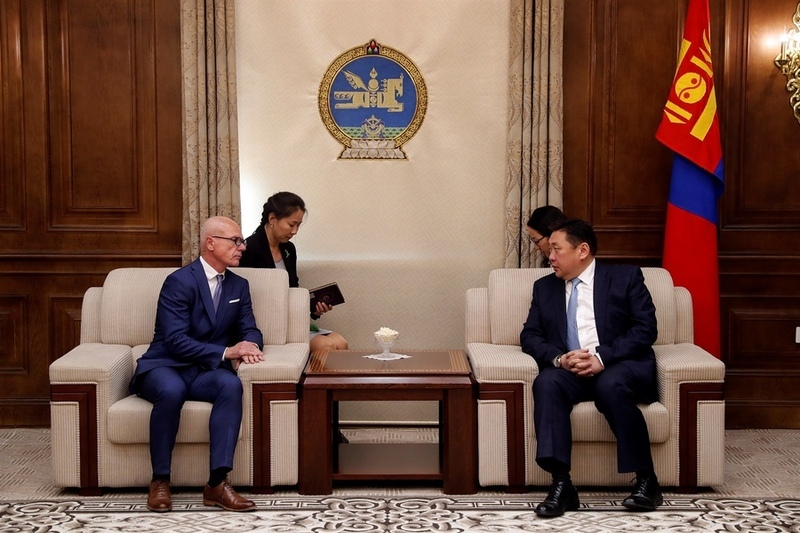 AKIPRESS.COM - Speaker of Mongolian Parlament Miyegombyn Enkhbold received Ambassador of Canada to Mongolia David Sproule on May 23. "Trade and economic ties between the two countries is developing mainly in mining sector and we keen to use Canadian technological achievements, learning from your country. Volume of investment made by Canada reached USD 4.8 billion as of 2017. We will pay special attention on building and upgrading legal environment to develop the cooperation successfully," Montsame reported the Speaker as saying. Moreover, the Speaker expressed the parliament's readiness to welcome members of Canada- Mongolia Group in the Parliament of Canada within the framework of the 45th anniversary of establishment of diplomatic relations which falls this year. Ambassador William Sproule thanked the Speaker for his time and emphasized this year also marks the 10th anniversary of the opening of the Embassy of Canada in Mongolia. He expressed his satisfaction with the inter-parliamentary relationships of the two countries. Mr.William Sproule asked the Speaker as a Head of the Parliament to pay attention on augmenting investment, protecting investors’ interest, facilitating problem-solving as well as developing mutual understanding.